Quite right Mr Palmer, why is the Abbott government handing “stuff” to Rupert Murdoch? “The Clean Energy Regulator is currently investigating whether Queensland Nickel Pty Ltd has made any payments towards the debt in the last 24 hours,” a spokeswoman for the Clean Energy Regulator said. “We have no record of payment having been received at this stage”. 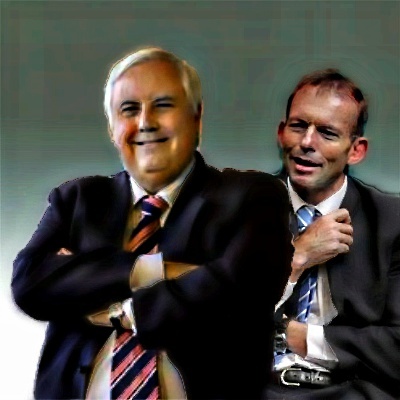 Already well and truly on the public record is Clive Palmer’s objection to the carbon tax with Palmer stating in November last year that, “the Abbott government should sue him if they want to get the $6.17m in carbon tax owed by his company Queensland Nickel“. “I’m applying company director standards and stepping out of this debate as there’s currently a potential conflict of interest,” Mr Palmer said. This being a most refreshing attitude coming from the right of politics where conscience and money are never normally an issue. The fact Clean Energy Regulators is/was “currently investigating” came as a huge shock. . . just to know that the CER is still with us. New prime minister Tony Abbott wasted little time after the swearing-in of his conservative Liberal National Party coalition, delivering immediately on his promise to repeal or dismantle all institutions and policy measures involving climate change and clean energy. Therefore even more of a shock is Tony Abbott’s statement of yesterday that Clive Palmer should forthwith pay his taxes, taxes which are a direct result of the price on carbon. Surely there should be some sympathy given Abbott’s endless rants against the carbon tax, including that Whyalla would be wiped off the map. So incensed was Tony Abbott that he called on Labor and the Greens to “repent”. However, not to get between a politician, some pre-election rhetoric and a dollar, Abbott has now insisted that Clive cough up. **Apparently Mr Palmer has paid, but that wasn’t going to stop The Australian running the story anyway. Prime Minister Tony Abbott has insisted that Mr Palmer should respect the law and that his company should pay its outstanding taxes. But I thought that Tony Abbott was so vehemently against the price on carbon that he will call a double dissolution election should he fail to get a repeal through the Senate. I would say, bring it on Tony. If your grandstanding about Palmer not having paid a bill which he has in fact paid is the best that you can currently dredge up, I would suggest that you go back to your knights and dames. “Tony Abbott’s comments today show he’ll blame everyone – including the media – for the promises he continues to break,” she said. True enough Ms Plibersek, but more importantly – as broken promises are there for all to see – is the intention to deny the Australian public the chance to form their own opinion. There shalt be only one opinion and his name shall be Murdoch. It cannot be denied that the overwhelming bias since 2007 and before, has been pro-conservative and anti-most of everything else. As an example, such was the success of the anti-Climate Change agenda, that the mainstream media sent Australia back a decade in terms of finding solutions. A survey at the time (during Kevin Rudd’s 1st year at Prime Minister, but this is just from memory) provided that of all the Murdoch stable, only Melbourne’s Herald Sun provided anything near a balanced approach, and this was around 67%. For others, the figures were far worse. A balanced approached? Unbiased? Clearly, if you want to get the message out who does Tony Abbott run to? Did he pass on his displeasure to Indonesia? No. Did he do it by way of a media press release? No. Did he pass the job onto his Minister? No. The article tells us – wait for it – that . . .
Mr Abbott told radio station 2GB. Specifically, Alan Jones’ Breakfast Show. Clearly buoyed by his success in “accurately” enunciating his foreign policy intentions via shock-jock radio with a sure certainty that (of course) senior Indonesian officials have similar enthrall with Australian talk-back radio, Abbott has now turned to that other well-known broadcaster Ray Hadley, likewise at 2GB. At least on this occasion Tony Abbott had at least a miniscule chance that someone/anyone from the media might listen to Ray Hadley, plus take it seriously. Abbott’s interview with Ray Hadley is quoted below – this one should note, is the same Ray Hadley who was recently ordered to pay a woman $280,000 as compensation in a defamation case. “Acting Justice Henric Nicholas described Mr Hadley’s attack on Carlingford fish and chip shop owner, Kim Ahmed, as an ”unbridled tirade … spat into the microphone for the consumption of the audience”. Note: damages will be paid by the Macquarie Radio Network’s insurer. “Meanwhile, people’s reputations are under question because of the ABC’s reporting of this matter, so I trust that the ABC will do the right thing.” Ms J. Bishop was of course not speaking about the victim of Hadley’s defamation case. However, undeterred by providing this interview to Mr Hadley and whilst knowing of Mr Hadley’s recent conviction of only a little over a month ago (and if not, one should ask why not), Tony Abbott then proceeded to shed crocodile tears about the naughty ABC not being on his side. It lacks ”at least some basic affection for the home team”. Translation: the ABC has criticised me, and is therefore unpatriotic. I am, I am, I am, the Australia. Tony, your ego is once again on display for all to see. Tony, there is no home team; Tony Abbott currently heads one of the major political parties and the one which currently happens to be in power. Tony, you are not “the home team”, Australia and the well-being and benefit of all Australians is the prime concern of all, irrespective of voting preferences. 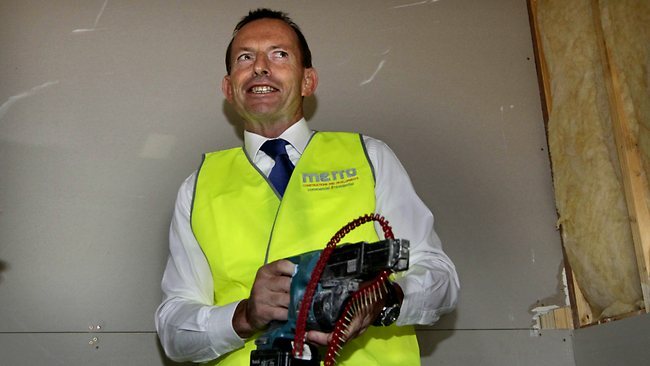 Does Tony Abbott expect a robust critique of himself by appearing on shock-jock radio talk-back shows? Or is this avoidance? A token gesture so that he doesn’t cop the criticism of being entirely invisible. Look at moi, I’ve been on Ray Hadley . . . duty done regarding “communication”. Abbott’s crusade continues, to politicise the armed services, who as per the ABC are apolitical and who are sworn to adhere to basic practices. Abbott’s awkward attempts to cosy up to the Navy in particular is nothing more than political opportunism. By the way, Abbott if you are so concerned about Navy personnel, why this? So much for concern about “the home team” . . .
And what of the other national state-funded outfits he (Abbott) is, by inference, comparing with our ABC ? Russia Today, France 24 , those in Laos or the “baddies” North Korea? Their aims are clear: to promote the current government (or regime) in a favourable light and to vilify the opposition. To be a mouthpiece for those in power. To cosy up to governments and vested interests in affectionate embrace. Is it any coincidence that certain ABC journalists have been threatened with “services no longer required” should they dare write a critique which might be unfavourable to the current ruling classes? The biggest fear for pay TV is advertising dollars being sent elsewhere as online services offer more affordable advertising rates than pay TV or free-to-air TV can offer. The next stage on the path to control of what we see and what we know is our ABC is control of all dissenting opinions. Communications Minister Malcolm Turnbull has strongly defended the ABC’s editorial independence in the face of Prime Minister Tony Abbott’s attack on the national broadcaster, which he says ”instinctively takes everyone’s side but Australia’s”. Mr Turnbull defended the Prime Minister’s right to critique the ABC but, in comments that could be interpreted as resistance to Mr Abbott, he said the ABC was rightly accountable to its board of directors, not politicians. Mr Abbott told radio 2GB that Australians wanted ”some basic affection for the home team”, but Mr Turnbull said the broadcaster was more constrained by rules around editorial fairness than its competitors in commercial media. Speaking at Canberra airport on his way to a cabinet meeting, the Social Services Minister said that in a robust democracy, the media should be scrutinised as much as anybody else. Indeed Mr Andrews, and we all look forward to your critiques of the unsubstantiated rumours, false information, and opinion dressed up as fact as is currently presented to us by the mainstream media. Surely, if your boss desires to continue to give patronage to such things as shock-jocks, the requirement should be that these persons must come under the same scrutiny as the ABC. Here we arrive at the crux of the matter, Tony Abbott wants the ABC to be his own personal cheer squad, as if we don’t have enough of that already from the Murdoch media and it’s associates. However, this is a mere side issue on the road to the silencing of all dissenting opinions, the inability of Australians to read alternative views. This is of course quite suitable to the Murdoch media who currently languishing behind paywalls, who wants opposition silenced, or as much as possible in a semi-democratic society – first step, procure excuses to cut the ABC’s funding . . . next step . . .
We are therefore placed with a Prime Minister who believes that “the home team” is the only team that one is allowed to barrack for. However, when he stated that “Test cricketers occasionally drop catches, great footballers occasionally miss tackles and, regretfully, there were a couple of occasions when this mistake was made – but it won’t happen again.”. Labor’s communications spokesman Jason Clare said the study was ”all about providing an excuse to cut the ABC’s budget”. “The night before the election Tony Abbott said there would be ‘no cuts to the ABC,” he said. “If Tony Abbott cuts the ABC’s budget it will mean he is a liar, simple as that”. This issue might have conveniently disappeared for the moment, but watch out come budget time, it is likely that B1 and B2 will be hocking their ‘jammies. When the Institute of Public Affairs starts talking about the irrelevance of Australia having a national broadcaster, then we should be doubly fearful. I wonder if having nobbled the ABC via budgetry means that there will be any “takers” to fill the shoes of the ABC in providing news transcripts for the blind? Not much money in that one for Murdoch, so I can’t see it happening. If there was ever a case for a taxpayer-funded state broadcaster, it doesn’t exist today. Australians have at their fingertips access to more news from more varied sources than ever before. Online, every niche interest and point of view is well covered. And as private media companies continue to struggle with profitability, the continued lavish funding of the ABC only serves to undermine their business model further. As the alleged owner of 70 per cent of Australia’s print media, most of us would would head to something belonging to the Murdoch empire to find the major stories of the day in our small country. To save us from scouring through endless piles of tree-destroying newspapers, dear Rupert has kindly provided us with news.com.au where all of the nation’s (and at times the world’s) breaking dailies can be sourced. With so much going on in our political and environmental world, in particular with our under-performing prime minister and our over-heating country, I was eager to read up on the all the latest, news, findings, opinions and/or whatever. Who is Madge’s brand new toy boy? And on it goes. That’s the sort of rubbish the Murdoch media want us to read about. It isn’t fit for monkeys. How eerily different it was leading up to the 2013 election, by the way. Or on that matter, ever since Gillard won the 2010 election.
. . . the government is bumbling and stumbling into 2014, imperilling the consensus necessary for genuine economic reform. The government has started the year copping stick for floating the possibilities of a co-payment for previously “free” visits to bulk-billing doctors and charging Australians for consular assistance when they get into trouble overseas. They are not unreasonable things to consider within the overall context of how much we can afford as the nation ages and has proportionately fewer tax payers. But such possibilities look unreasonable when they come from a government that also wants to pay an overly generous maternity leave allowance for the very well paid, reinstates the novated lease tax minimisation rort for the minority who can access it, puts the interests of the financial planning industry ahead of the interests of clients of the financial planning industry and wants the poorly paid to have no tax break at all on their superannuation contributions while ensuring well-off retirees – people with several million dollars in assets – continue to live in a tax haven paying no tax at all on high incomes, or even a little bit of tax on pretty high incomes. So far, the impression given by the government is that it is committed to maintaining the privileges of the privileged, while whittling away at the breaks afforded the not-so-privileged. 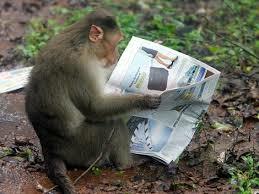 I know now where to go for my news, and it ain’t from dear Rupert. He might own 70 per cent of our media, but honestly, he provides us with 100 per cent of its crap. Amid the daily Murdoch mantra that Tony Abbott is the man our country needs it was refreshing to read the views of an independent journalist, Michael Moore, whose ‘take’ on the Abbott victory is best summarised that Abbott has been rewarded for giving us the worst years in our political history. Michael Moore is a former independent member of the ACT Legislative Assembly from 1989 – 2001 and his article Rich rewards of the three worst years is, in a word, compelling. Writing for citynews.com.au Moore delivers what can best be described as the absolute truth. A small part of his article is reproduced below. The last three years have changed the face of Australian politics. There will probably never be a return to the “kinder, gentler polity” that then Opposition Leader Tony Abbott called for in August 2010. Some blame minority government, but this is nonsense – effective minority governments remain common across Australian jurisdictions. The blame lies squarely with just two people. 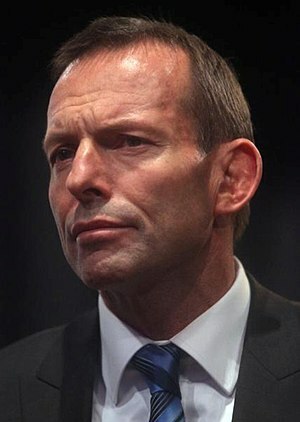 Despite his 2010 call, Tony Abbott was swept up in the international ultra-conservative movement largely led by the Tea Party in the US, where the formula is simple – oppose everything! The aim is clear and simple, make anything but the conservatives look incompetent, particularly in matters financial. Ensure governments achieve as little as possible so that when the conservatives return to power they can build a community in their own image. This new phase of Australian democracy has a prime minister more beholden than ever before to Rupert Murdoch and his concentration of media outlets. The impact was no clearer than in the swinging seats of western Sydney and Queensland. There was never a more blatant partisan campaign in the media than the one Murdoch ran in this election. It has been a rough three years in Australian political history where the worst sort of political behaviour has been rewarded. The standards have been set. It is difficult to foresee circumstances in which the downward spiral will be reversed. The social media has been a frenzy of activity over the last week as people voice their disgust at the grubby antics of the Murdoch media. The Murdoch media has not only come under fire for its gutter journalism and personal attacks on Kevin Rudd, but for its ‘go soft’ approach on Tony Abbott. If only they could hold Abbott to account. And if only they could ask Abbott the questions that we of the social media would like the opportunity to do. It’s fitting, nay deserved, that the daily sales of Murdoch’s newspapers continue to plummet. At the same time, independent media sites and blog sites continue to grow. It’s a clear message that many people seek an alternative to the traditional media. We of the new media, sadly, at this stage cannot provide news. We lack the resources in both money and personnel. But we can provide opinion – an alternate opinion – and one that represents how many people feel. You won’t find this in the Murdoch media, where only one opinion counts: Rupert’s. The sites I am associated with, Café Whispers (CW) and the Australian Independent Media Network (The AIMN) have enjoyed record months. The AIMN recorded a huge 24,000 visitors in one day earlier this week, dwarfing the mere record of 8,700 here at CW. It is significant that these figures were achieved in the wake of Murdoch’s grubby blitzkrieg. It is also clear that people like what our authors are delivering. I think it is safe to assume that the combined readership of the independent blogs could nationally outnumber the readership of a major city newspaper. They would easily outnumber the listeners of say, Alan Jones. One could argue that the same people read all the individual blogs, but my statistics show otherwise. The statistics record the number of visitors to our sites and where they have visited, or ‘clicked’ from. Very rarely will they come from similar sites, suggesting that each blog, to a large extent, has its own distinct group of loyal readers. On both CW and The AIMN the percentage of visitors from similar blogs is very small. Facebook, Twitter and Google provide 95% of our visitors while the remaining 5% is made up of a dozen or so from other blogs or media outlets. There’s something in those numbers. From the day Café Whispers opened as a blog site we have maintained that the Murdoch media has been hell-bent on destroying the Labor Government; the result of which will see the elevation of a puppet Abbott Government. Naturally, we have been derided for suggesting this. The behaviour of the Murdoch media, in particular since Kevin Rudd announced the election date has provided us with justification for our ‘crazy leftish conspiracy theories’. I think there’s enough evidence on the front pages of the Murdoch rags to dispel the suggestion that it has just been nothing but a conspiracy theory. Only those who are hard-core right wingers would fail to see the vicious bile that is pushed down our throats. And only the ignorant would fail to accept that serious questions about Murdoch’s credibility and ethics hang around his neck in those countries where the public and the government are sick to death of his bullying tactics. They are doing something about it. Nobody in this country has had the guts to. Dubbed Rupert Murdoch’s ”tormentor-in-chief” by the British press, he has since devoted himself to the public scrutiny of the 82-year-old’s global media empire. He is in Australia to discuss News Corp’s coverage of the federal election: an unabashed anti-Labor crusade, he believes, driven by Mr Murdoch and his New York Post editor-in-chief, Col Allan. ”It insults Australians when they produce content like that,” Watson says, referring to the recent front pages depicting Labor politicians as clowns and Nazis and demands to ”KICK THIS MOB OUT”. The article reminds us that A fortnight ago, the ABC’s Media Watch analysed one week’s political coverage in Mr Murdoch’s Daily Telegraph. Of the 80 election stories it printed, the program deemed half negative to Labor but none negative to the Coalition. Anyway, I could go on with quotes from the article but instead I implore you to read it yourself. Either that or read every post here at Café Whispers to hear the same message. News Corp hates the government’s National Broadband Network (NBN). The company has formed a view that it poses a threat to the business model of by far its most important asset in Australia, the Foxtel cable TV monopoly it jointly owns with Telstra. Murdoch’s views on the election campaign largely mirrored those of conservative opposition leader Tony Abbott, who has promised to downsize the planned broadband network. “Does he sense it represents a commercial challenge to Foxtel, to the major cash-cow for his company, or not?” asked Rudd, referring to the planned broadband network. The reason for Murdoch’s dramatic intervention in the current election has caused some debate. 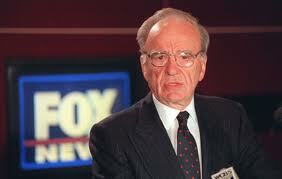 One interpretation of Murdoch is that he acts only for commercial advantage. Reflecting this, Paul Sheehan in the Sun-Herald argued that Murdoch wants to destroy Rudd and Labor because they are building the National Broadband Network (NBN). The NBN’s capacity to allow the quick downloading of movies and other content would be a threat to Murdoch’s Foxtel TV operation, so the argument goes. Of course, this is all scoffed at by Tony Abbott. Australian public now totally disgusted with Labor Party wrecking country with it's sordid intrigues. Now for a quick election. So Mr Murdoch believes that Labor has wrecked the country. How wrong could he be? As Alan Austin points out in today’s Independent Australia, “profound falsehoods about Australia’s economy are repeated relentlessly” and the Murdoch media are the ones leading this charge. I’ve been to America a few times in the last couple of years and I am struck by the number of people who comment how envious they are of Australia’s economic position and, in particular, how our government guided us through the global financial crisis. Mr Murdoch is the one American I know of – and the only one publicly – to openly condemn our economic status. He says it’s bad. The evidence shows the contrary. But unlike other Americans, Mr Murdoch has immense financial interests in this country. Of course he wants to protect them. Even nurture them. Old Rupert can only be supporting the Coalition for no other reason than they offer the best deal in protecting those interests. They simply have no other policy that could possibly attract his fanatical support. It has to be the NBN, or the destruction of it, more’s the point. Or maybe – and I say this jokingly – he is only behind the Opposition because he wants the boats stopped. Why Murdoch wants Rudd to lose the coming federal election is not merely political, it is commercial. News Corp hates the government’s National Broadband Network (NBN). The company has formed a view that it poses a threat to the business model of by far its most important asset in Australia, the Foxtel cable TV monopoly it jointly owns with Telstra. Not surprising, the article has gone viral in social media. But where did this story first break? In social media itself. “The Murdoch media has been leaning to the right since the Whitlam days but the anti-Labor meme was really ramped up just before the 2010 election. The catalyst was Murdoch’s luncheon with Tony Abbott, where the NBN (National Broadband Network) must have been the main talking point as the very next day Abbott publicly announced that he’d rip up the NBN”. “He pissed a few of us off by jumping too soon, thinking that people might tie the announcement to the meeting with Murdoch, which luckily they didn’t. The NBN will effect Murdoch’s profits, and let’s be very clear on that, so the reason to back Abbott was clearly motivated by money for the media empire”. Yes, there is some breaking news… Tony Abbott has lunch at News Ltd HQ every week. Incredulous I asked the person to repeat it. I have it on the very highest authority, however, given without hesitation… in fact, volunteered by someone with no ostensible axe to grind, but should should know it to be true. It’s this person’s job to know Abbott’s movements, in detail. It’s comforting to know that the better elements of the mainstream media have finally seen the light. I don’t know about you, but I’d rather live in a democracy than a Murdochracy. It appears that a particular political party would prefer the latter. A message from change.org . . .
Rupert Murdoch, Fairfax, ABC, SBS and all other Australian media outlets: Stop interfering with the democratic process. The editorial published in The Age on Saturday, June 22 calling on Prime Minister Julia Gillard to step down, has spurred many of us to express our anger and dismay at the way the mainstream media are manipulating the public. Like many other Australian voters, we believe that we’re living in the most desperate times that Australia as a nation has ever faced. Nothing less than our precious democracy is at stake. So far, we haven’t taken to the streets, but we will if necessary. Many Australian voters have found it difficult to believe what’s been happening to us, and to our Prime Minister. But the time has come for us to take action to express our anger and disgust and to demand change. We are no longer prepared to accept that a former Australian billionaire who owns so much of our media, and Newspoll, of course, is lying to us, manipulating us, and using us to further his own interests. And that the rest of the mainstream media, including the taxpayer-funded ABC, has fallen into step with the Murdoch media. We are no longer prepared to accept the blatant bias of the mainstream media. We are not prepared to accept television and radio interviewers refusing to allow both the government and the opposition to spell out their policies. The travesty rests squarely and heavily on your shoulders – it is of your own creation. How dare you treat the Prime Minister in this way, and then try to blame her for your own behavior? Why is the message not getting through the media to the voters? Why are you refusing to allow it? Why are you creating doubts about the Labor leadership? Why are you not asking the opposition the tough questions? Who are these unnamed sources? Where are these leaked internal polls? We could mention uncountable other examples of behavior from the mainstream media that we are no longer prepared to tolerate. It is not OK to treat anyone in the way our PM and the Labor-led minority government has been treated. So, we, ordinary Australians, request that the management of Fairfax, the Murdoch press, SBS, the ABC and all other media outlets insist that their journalists commence demonstrating the professional qualities required to truthfully inform the people of Australia of issues impacting on ordinary Australians. • The media discontinue its creation of news as opposed to the reporting of news. • The media immediately commence reporting on the policies (or lack thereof) of the Government and the Opposition to allow Australians to have an informed vote. • You get your hands off our democracy. No more interference in the democratic process. • You cease and desist from allowing the Prime Minister to be demeaned and trivialized in the media. If you want to help stop the rot: sign here. 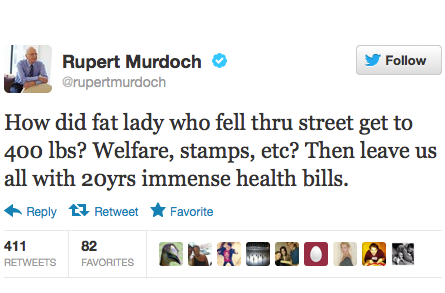 Yesterday I posted this image on Facebook with the caption: “In just one Tweet Rupert Murdoch reveals that he hates fat people, welfare recipients, income support, can’t afford his medical bills and expects to live another 20 years”. Can’t help but agree with the man!!! Here in Thailand no hand outs and no fat people! Also the bloke who did my concreting had one leg, the plumber had half of a hand, these people are amazing….. In oz you would be on welfare for life!!!!! Other parts of the world have it loads tougher than we do and they expect nothing! Unreal and can teach us all something!!!!!! I am a student from International School Bangkok, Thailand. In my country, we also have child labor. The children are sometimes cut off their hands or foot to look pitiful, and are made beggars and are put in places like the bridges above the roads. Their “employers” get all the money from the begging children, and give them little food and bad shelter. Did I mention that the commenter on my post is what you might refer to as an Australian tea bagger; an extreme, hard-core right winger, who regularly comments on my posts (with smilies) on how great this country will be once Gillard gets her ‘just desserts’ in September? PS – I know this commenter personally and have done so for many years. He is a banking executive who has worked in Australia, England and now Thailand (by the looks of it). He is what you might call the ‘wealthy elite’.